Now is the perfect time to put together your holiday wish list….with all things camp! Here’s a few ideas of what to ask for, or what to give a camp friend this holiday season. 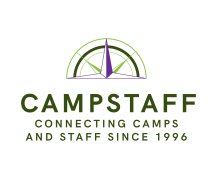 Brought to you from your friends at CampStaff. This hat is perfect for camp. It’s cute, stylish and practical, too. If your camp is near the mountains, beware of cold nights even during the summer. Pro tip: get this hat now to use for the winter AND the summer! A sturdy water bottle is the perfect item for camp. Pro tip: get a water bottle with a flip nozzle like this one; it’s much easier to take quick sips thought the camp day without having to unscrew anything. Just imagine your camp’s state and zip code on here. Great idea for you or for a camp friend! Bandanas. A different color for every day, or share them with your camp friends. Bandanas are great accessories, hair pieces, and are unisex. Pro-tip: Can’t go wrong with bandanas at camp and you’ll be sure to find more uses than ever thought possible!